Think of that perfect postcard picture of the French Riviera, you know, the kind with vibrant hues, gorgeous architecture and turquoise waters. Now think of a tiny yacht-filled, shopping-friendly, gourmet-loaded fishing village that could be your dream destination, whether you’re looking for a lavish luxurious getaway or an exotic vacation within budget. 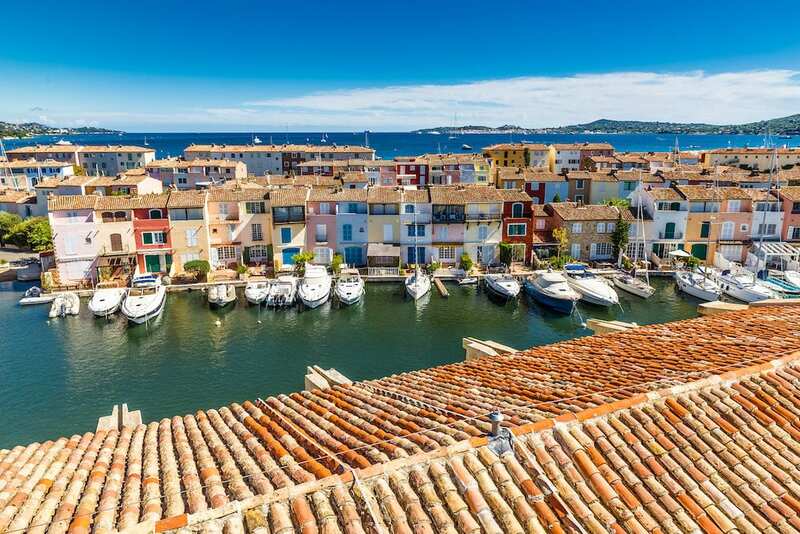 If thinking about these sights is getting your heart racing, then travelling to Saint Tropez is just what you might be craving. Situated on the inner shoreline of Cote D’Azur in the South of France, this tropical paradise is hidden away on a secluded peninsula. Due to which, you may need to spend a couple hours more to get there (but it will be worth it). The closest airport from Saint Tropez is La Mole, which is about 1 hour away (approximately 17 km) from this festive fishing village. La Mole is a local airport that caters to chartered flights and helicopters from Nice. 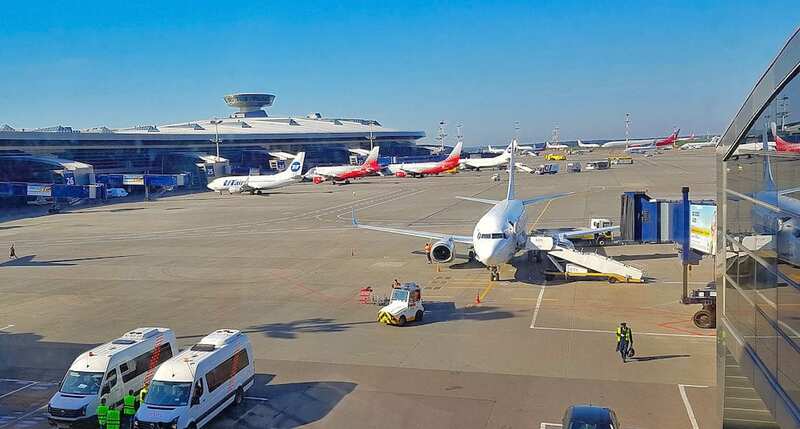 You will also find a few regular flights here between May and October. 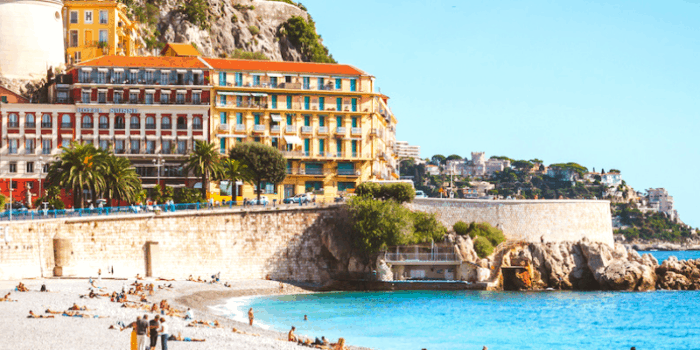 If you’re looking for a more picturesque way to get here, then we suggest flying into Nice (Nice Cote d’Azur airport) or Marseille Provence (Marseille Provence airport). With a drive time of 1 hour and 2 hours (respectively) from Saint Tropez both these places offer simplified access into this shore-side town. The advantage here is that you get to witness the magical azure waters by sailing to Saint Tropez from Nice. You can charter a boat or book yourself onto a sharing boat between May and September to get here in 2.30 hours. You can also choose public transport from Nice and Marseille, for a more pocket-friendly option. Driving to Saint Tropez gives you the advantage of having your own transport within the fishing village. A much-required convenience if you wish to visit various spots, stunning landmarks and day trips from Saint Tropez at your whim. However, your journey may be slowed down from May to October owing to traffic-jams from the crowds coming in during peak season. If Saint Tropez is part of a European road-trip then driving can be a great option. You can get on a ferry that docks in Bilbao, Spain and drive 9 hours while soaking in dreamy sights. You can hop on a bus for a 3-hour ride to Saint Raphael from Nice Cote d’Azur airport. 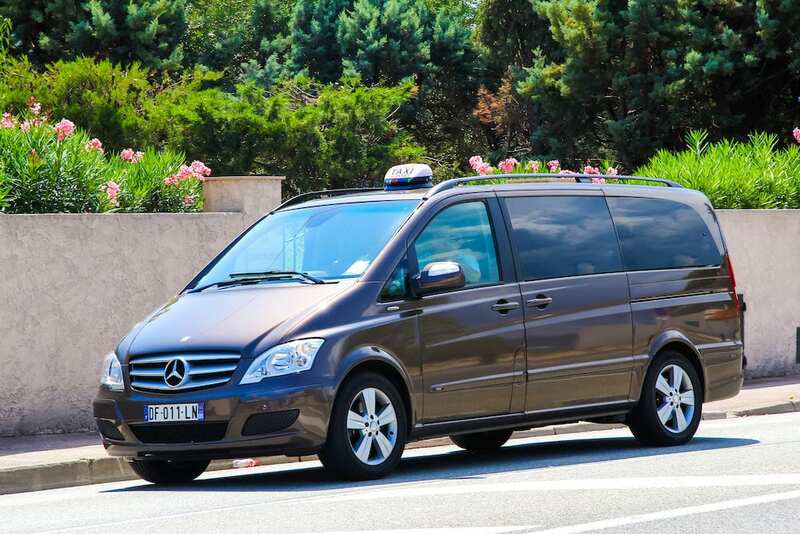 From Saint Raphael you can either self-drive or book a taxi, which will take you another 1 hour to Saint Tropez. 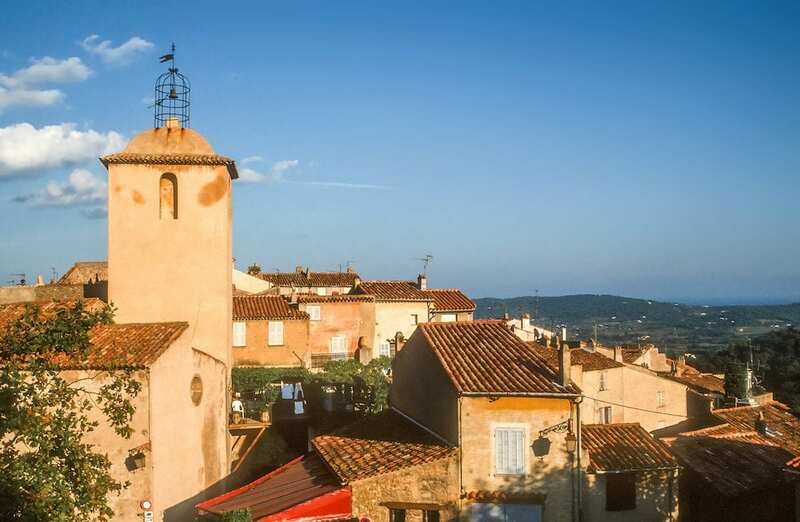 In season time (May to September), you can take a bus from Marseille airport to Aix-en-Provence and change at Luc le Cannet to get to Saint Tropez. During the off-peak months, you can get on a bus to Toulon and change there to get to Saint Tropez. 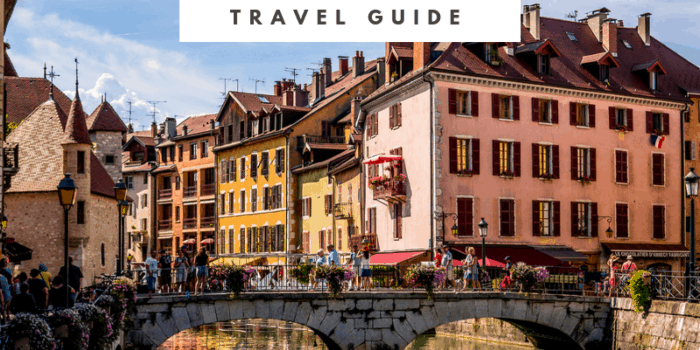 Before we get into the fabulous Saint Tropez attractions, let’s take a look at a few basics that can make your vacation easier. French is the main language used in Saint Tropez. While it not vehemently important to be fluent in French, it won’t hurt to brush up on your “hello’s, goodbye’s and thank you’s”. The locals are always smiling and warm, and they always appreciate the little effort taken. Probably the easiest way to withdraw Euro’s are ATM’s. However, good things always come with a price, and in this case it’s a 3% (depending on your bank, we suggest speaking to them) foreign-transaction fee charged by your bank. You can also chose to use your Visa and MasterCard credit cards to pay at hotels and restaurants, another convenient way to pay but with the cost of an added foreign-transaction fee. It is important to always have some cash on you, since a few St Tropez hotels and restaurants may not accept card. We suggest opting for a self-load Forex/Currency card, where you can load up a specified amount of Euro’s that can be withdrawn/swiped with no additional transaction cost at most hotels, clubs and restaurants. Our pick for exchanging your currency in Saint Tropez are Exchange bureaus. These often offer better rates than banks and are also a speedier way to exchange money. While shopping in St Tropez it’s important not to haggle. It is considered rude to bargain in France, unless, of course you’re at a flea market. With a 15% service charge added to your bill, it is not imperative to leave a hefty tip at bars, restaurants and hotels. You could leave €1 or €2 as an extra bonus if you’re really happy though. This doesn’t however apply to Taxi’s, where you’re expected to tip 10-15% of your bill amount to the driver. Having a self-driven vehicle becomes a boon at this point, since most of the things to do in St Tropez are over 5 km’s from each other. Sure, the traffic may get a little rough on some days but the convenience of having transport at your disposal is a true luxury. You could even rent a bike or hike/walk your way through Saint Tropez in you’re that kind of an explorer. You will come across quite a few gorgeous seaside sights while walking here (some of which may not be accessible by car). 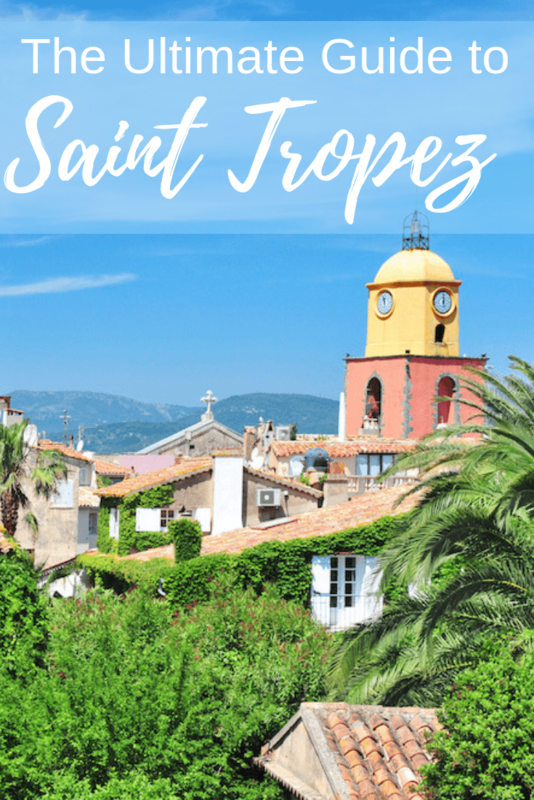 From April to first week of September Saint Tropez offers a bus service from the bus station, along with a free minibus from the town center. The best months to visit this fishing village are from April to October. Consider these peak-seasons and expect quite a few vacationers to be present though. If the white-sand beaches and waters are what attract you and sea-activities like surfing and diving strike your fancy then July and August are your best bets. If you’re one to avoid the crowds, then the winters are the perfect time for you to visit. With day temperatures around 50 F and nights that barely come to 0 F, you will find this a secluded haven for a quiet getaway. 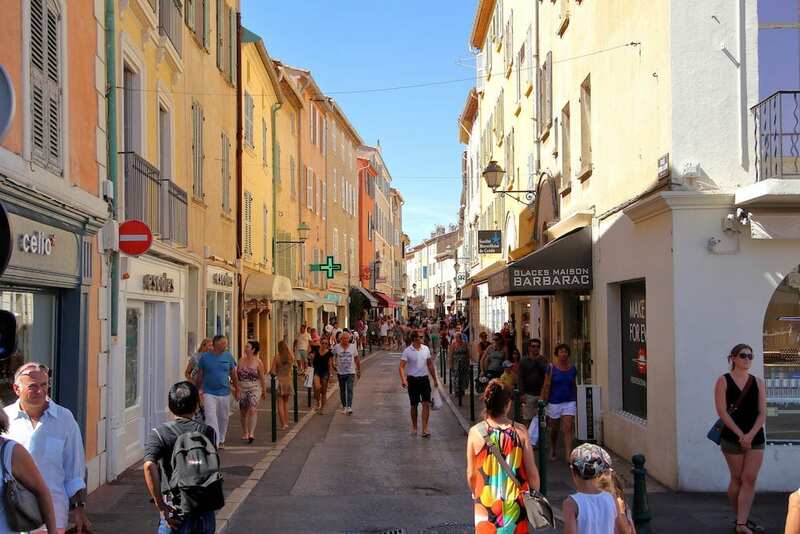 From summer-time fun to some serious retail therapy, Saint Tropez offers a wide array of activities. 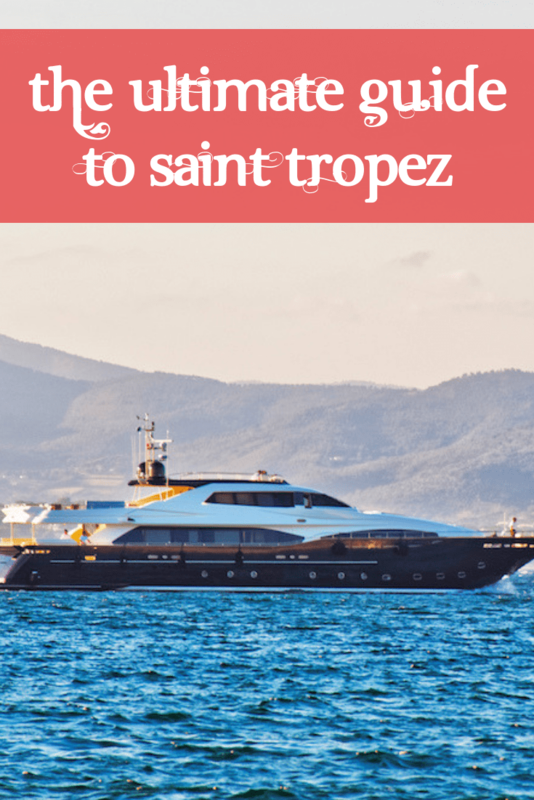 We’d suggest packing in an extendable bag or carrying a foldable duffle when visiting Saint Tropez. While the crystal waters and white-sand beaches are the most popular Saint Tropez attractions, this part of the French Riviera is considered a shopping paradise. Place des Lices Market: Perfect for a spot of souvenir shopping, this is a colorful flea market that comes alive from 8 in the morning to 1 in the afternoon on Tuesdays and Saturdays. The Golden Triangle: If shopping is your main focus when visiting Saint Tropez, then look no further- The Golden Triangle is your heaven. With the best global brands like Dior, Fendi and Chanel (just to name a few) all in one spot, you’re going to be taking back a lot more than you came with. Rondini: You can’t leave Saint Tropez without a pair of Sandales Tropezienne. Trademark footwear by the Rondini’s, these sandals are work of finesse in strappy flats that come into various designs and colors. Be it swimsuits or bohemian styled dresses, be it modern home décor or intricate curios, shopping in St Tropez is sure to satisfy the shopaholic in you. 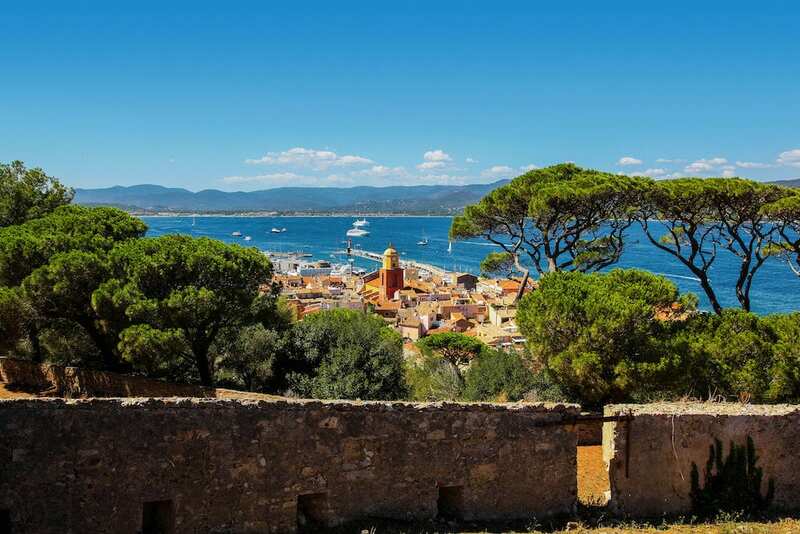 From unwinding on the pristine Saint Tropez beach to exploring the marine life of the Mediterranean Ocean and lavish boat trips, there are a number of things to do in St Tropez. You can rent Kayaks and/or Paddle boards and set-forth to explore the waters around Saint Tropez with your friends and family. 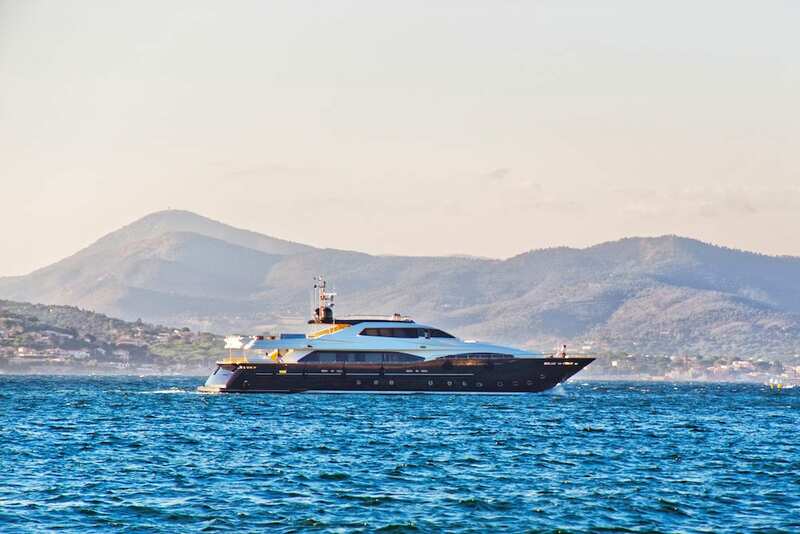 Enjoy the dreamy coastline of Saint Tropez by organizing a guided boat trip or charter a boat and add in a few scuba-dives, a bit of snorkeling or even a spot of fishing, to truly experience the magical summer Mediterranean waters. You can rent a cycle or chose to walk and get on one of the numerous cycling/hiking trails in Saint Tropez. We think the captivating views are better reached on cycles or on foot. 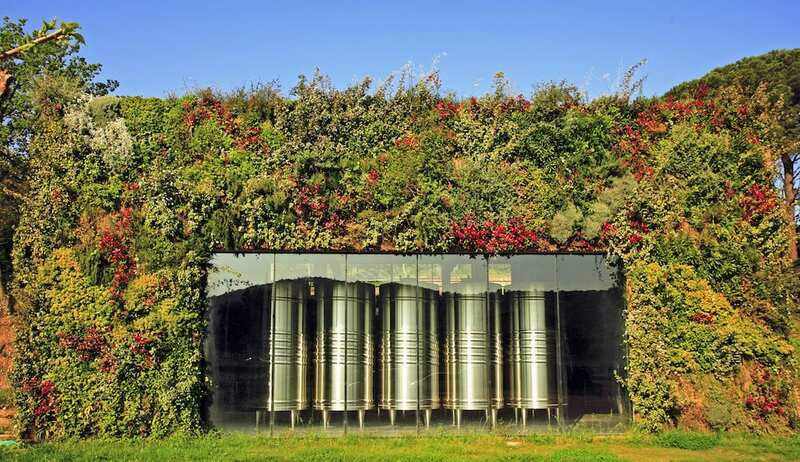 How can you be in the French Riviera and not visit any vineyards? 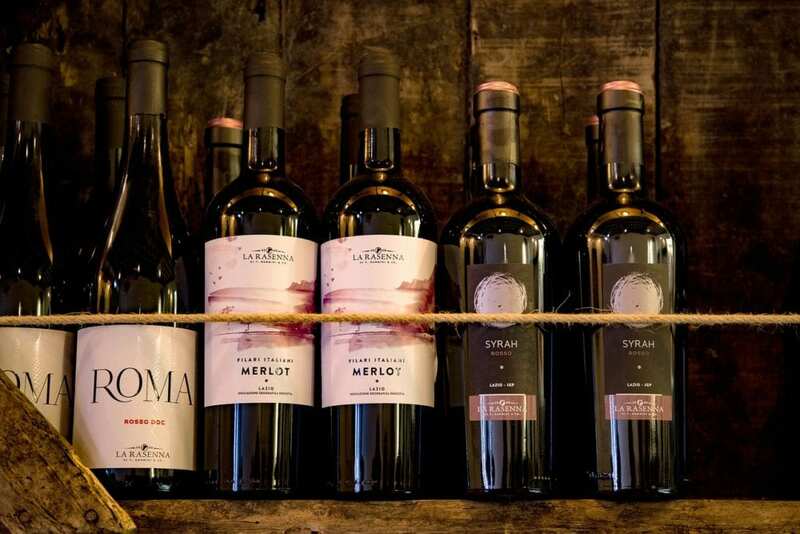 You can book day trips from St Tropez that include wine-tours and tastings, giving you a peek into the fine-art of wine-making. 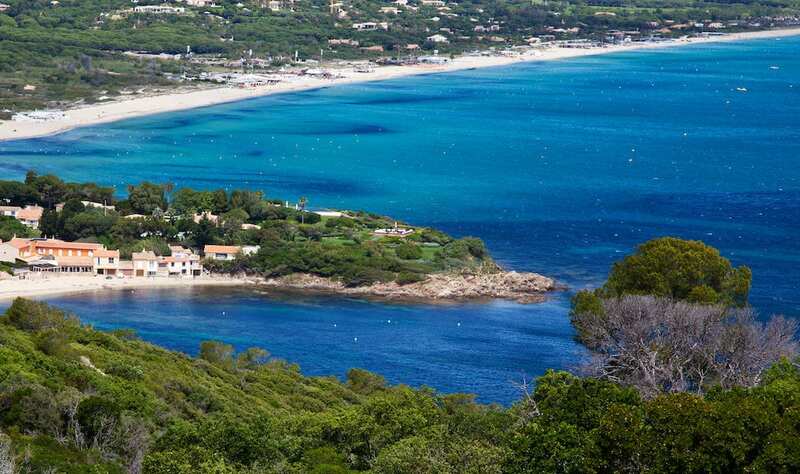 Pampelonne beach is probably the most popular one in this part of the French Riviera. Made famous by celebrity sightings and movies this Saint Tropez beach is always lively with chic restaurants, beach clubs, bars and restaurants lining the golden stretch with stunning views of turquoise waters. 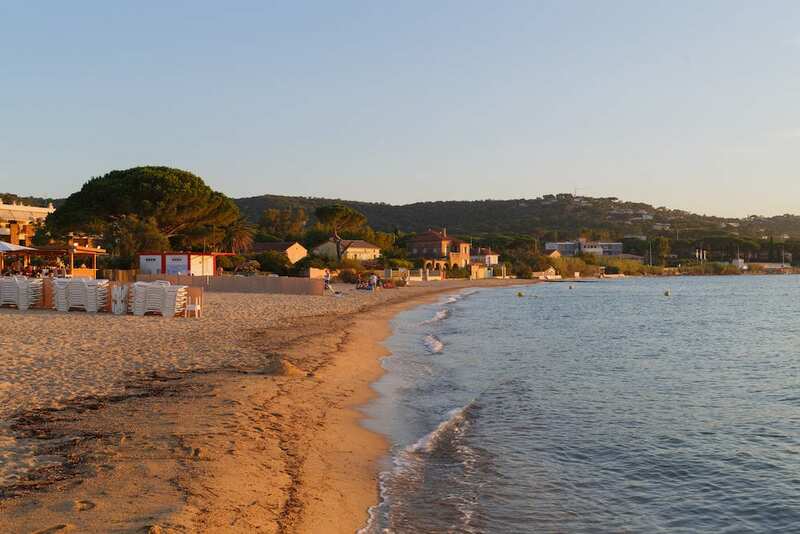 The very scenic Plage de la Bouillabaisse is not as popular as Pampelonne beach but offers an irresistible view of the grand Massif des Maures Mountains. Some not-so-famous but equally beautiful beaches include La Ponche and Palges de Glaye, and Plage de la Garoupe, which are perfect if you’re looking to find quieter beaches away from the crowds. Museums must be on your list of things to do in St Tropez. La Citadelle – Museum of Maritime History, displays illustrations of many marine expeditions outlining the history of Saint Tropez. La Maison des Papillons – Musee Dany Lartigue a.k.a the Butterfly Museum display’s Dany Lartigue’s collection of more than 35,000 butterflies. With species that are either rare, extinct, protected and ever-so exotic- this museum is a must visit for nature enthusiasts. 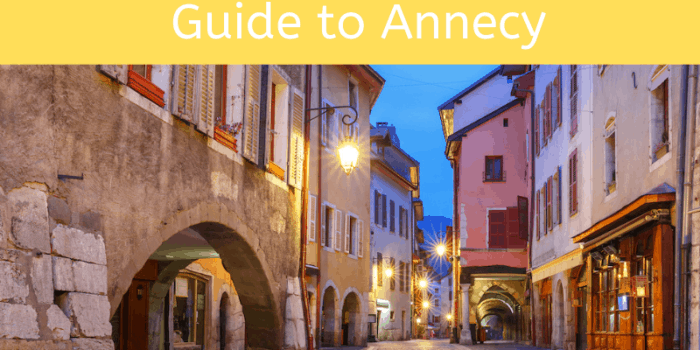 Museum of Annonciade – Nestled inside the culturally rich Notre-Dame de l’Annonciade, this art museum houses a collection of 19th and 20th century paintings. These paintings were created by artists who were the first few to step foot in Saint Tropez and were awed by it’s idyllic charms. Musée de la gendarmerie et du cinema de Saint-Tropez – the Cinema museum. Due to the fame St Tropez received because of several movies being filmed here, this museum has become quite an icon. 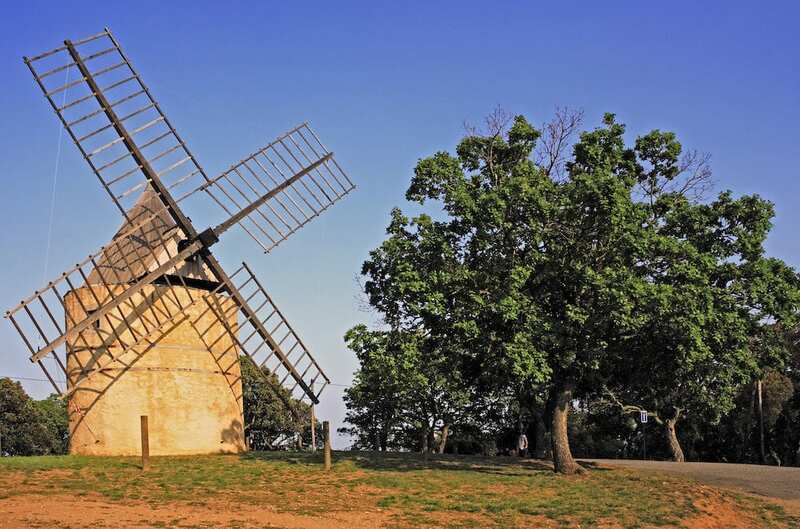 Moulin de Paillas – Constructred from the 16th to the 19th centuries, here you will find 5 windmill-ruins rich in history. One has been reconstructed and can be accessed after a calming hike up the hill. We heartily suggest going up there to soak in spectacular views of Pampelonne beach. 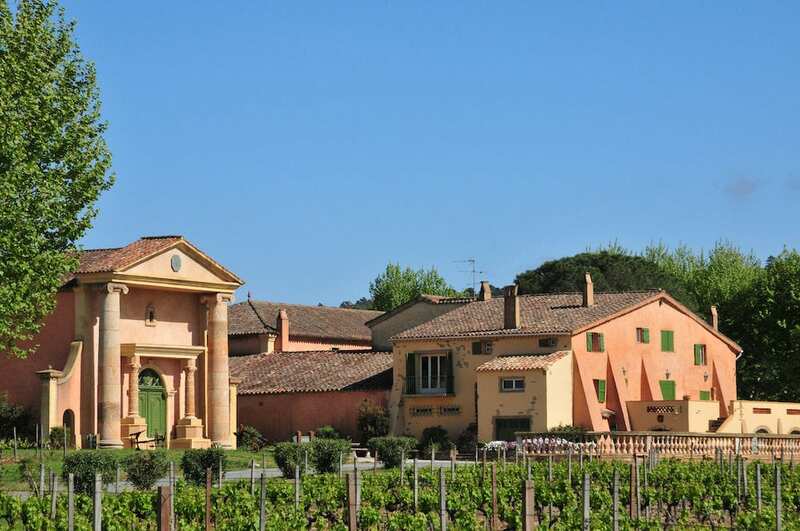 Established in the early 1800’s and early 1900’s respectively, Domaine La Tourraque and Chevalier Torpez should definitely be on your itinerary in Saint Tropez. 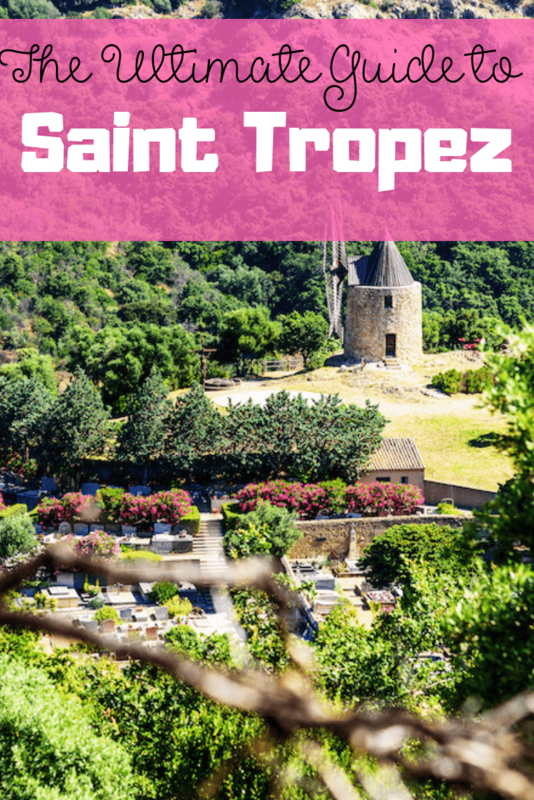 Apart from viewing the winemaking process and getting to taste some exquisite wine you will also get an insight into the heritage of Saint Tropez and get to view the breathtaking landscape that these vineyards have to offer. Vieux Port – Is a popular harbor in Saint Tropez. Indulge in some delicious food at the many café’s or satisfy a bit of your shopping craving here. Vieux Port is also very well known sailing destination. 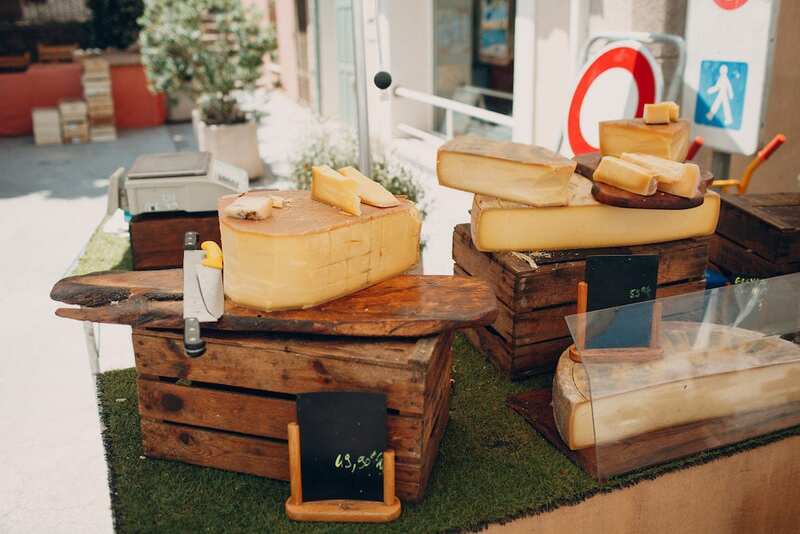 Apart from sumptuous fine-dining options, Michelin starred restaurants and divine dessert café’s; Saint Tropez is known for some seriously delicious local cuisine. Be sure to get your hands on some Tarte Tropezienne, a cloud-like soft sponge cake, or feast on a delicious plate of Ratatouille here. Sip on the classic Saint Tropez cocktail, “Ice Tropez”, while trying the cake of kings- Gateau des Rois. Take a walk with some Pissaladiere, a local flatbread made with golden onions and anchovies or treat yourself to some heartwarming fish stew. Whatever your pick, Saint Tropez will never leave you hungry. While a myriad of restaurants and café’s thrive in Saint Tropez, we will give you our favorites in a range of budgets. La Ponche – a purely gourmet experience known for their delicious fishoup. Known for being frequented by the likes of Pablo Piccasso. Club 55 – a classic and well-known haunt in Saint Tropez, known for a fabulous ambience and even better service. Café Senequier – a Michelin starred café, known to for its decadent variety of patisseries. Brasserie des Arts – try their Sunday brunch, you won’t be disappointed. A frequent haunt for people who have been partying all night long. Vague d’Or restaurant – a 3 Michelin starred restaurant that redefines gourmet dining is a treat you should try to indulge in while in Saint Tropez. El Mas Bar, Vins,Tapas – a Mediterranean bar and pub, great for a quick meal between your shopping spree. L’Aroma – a vegetarian friendly restaurant that serves some delicious pizza. Creperie Grand Marnier – known for lip-smacking crepes. Rialto Pizza Port – a vegan friendly restaurant, great for mouthwatering pizza. St Tropez hotels come into a diverse price range, to suit all kinds of travellers. Hotel SEZZ Saint Tropez – from plunge pools to bathtubs, from spectacular views to rejuvenating massages. This 5 star property is very close of the Citadel and is pure luxury. Chateau de la Messardière – a hop away from the city center, this lavish hotel is spread over 25-acres. With gorgeous gardens, trailing footpaths and pumice bathrooms, you may not feel the need to leave from this hotel. Benkirai Hotel – known for a fabulous in-house restaurant, this 4 star resort is close to the Citadel and Pampelonne beach. Hotel Residence de la Pinede – located close to the popular tourist spots in Saint Tropez, this hotel houses a stunning garden along with other state-of-the-art amenities needed to make your stay perfectly comfortable. Villa Cosy Saint-Tropez – known for a luxury experience at a cost much lesser than a 5 star, this hotel is known for it’s uniquely stunning interiors and great location. 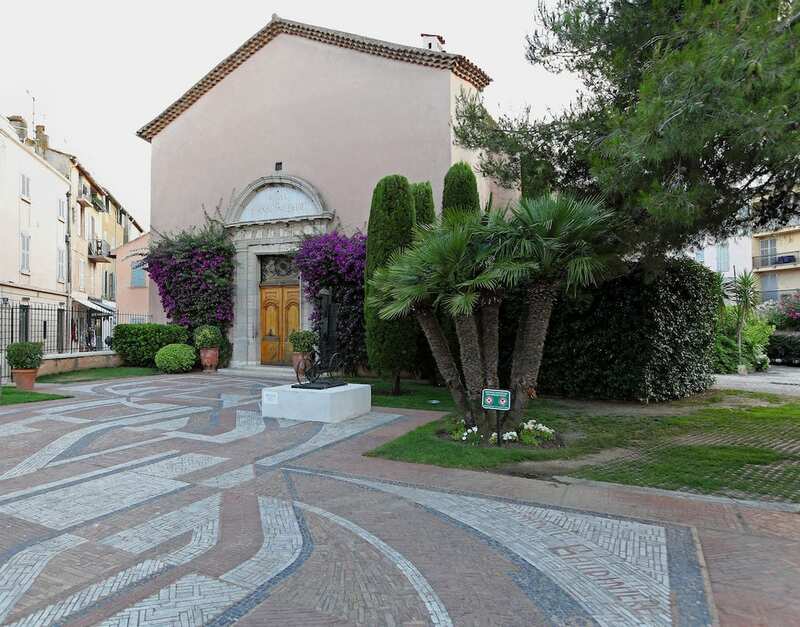 Residence Les Patios Saint-Tropez – Very close to the city center, this hotel makes all the popular attractions within reach. Each room comes with a kitchenette, for those of you who like to shop for fresh produce and cook up a meal. Lou Riou Hotel – this is really all you need if you wish to visit Saint Tropez for a longer duration than 2 nights. With it’s prime location, modern-amenities and budget friendly price – makes it the perfect Budget-friendly. 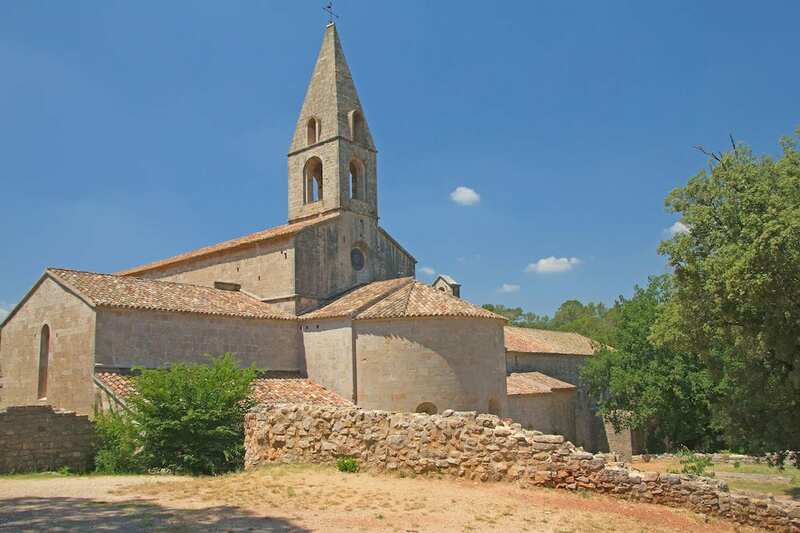 Abbey of Thoronet in Provence – A self-guided tour that sends into the cultural heritage of Saint Bernard. This grand monastery was built in the 12th century and is a prominent landmark that shouldn’t be missed. Skip the line tickets are a must! Citadel of St-Tropez – take a tour of the most history landmark in Saint Tropez. Known as the village’s crown jewel, exploring the Citadel will give you the chance to sink into history stories and time-travel back to the 17th. 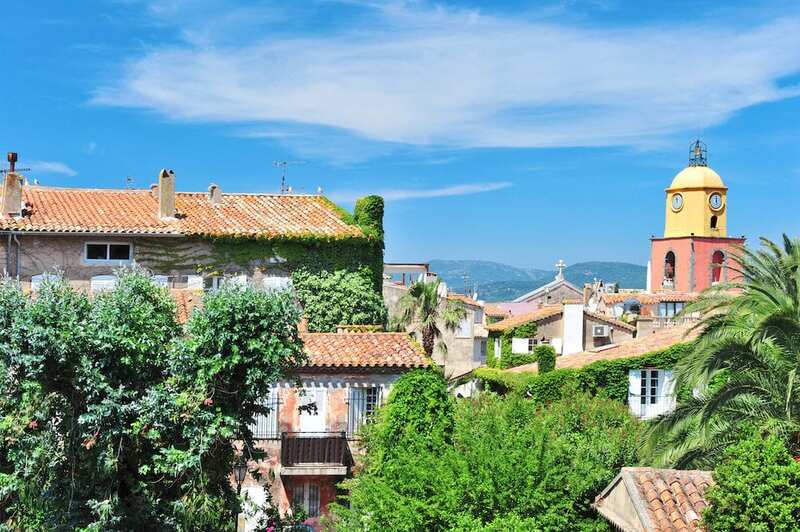 Musee de I’Annonciade – Get a chance to see Saint Tropez through the eyes of prestigious artists that were among the first people to set foot onto Saint Tropez. They were awed by the idyllic charm and turquoise waters here that each of them decided to immortalize it in the form of a painting. These paintings are housed for public viewing at Musee de l’Annonciade. Cap Taillat – a magical piece of land that opens right into the Mediterranean sea, Cap Taillat acts like the doorway to Saint Tropez. The Pristine waters that can be accessed after a coastal trek offer secluded beaches, away from the crowds. Filled with tropical trees, dreamy views and gorgeous creeks, this tour is a must-do. Rent a yacht or a boat – get to experience the grand Mediterranean ocean firsthand by renting a yacht or a rigid inflatable boat according to the size of your group. The larger boats and yachts may require a license. Viewing the coastline of Saint Tropez is a magical experience and one that needs to be on your list of things to do in Saint Tropez. 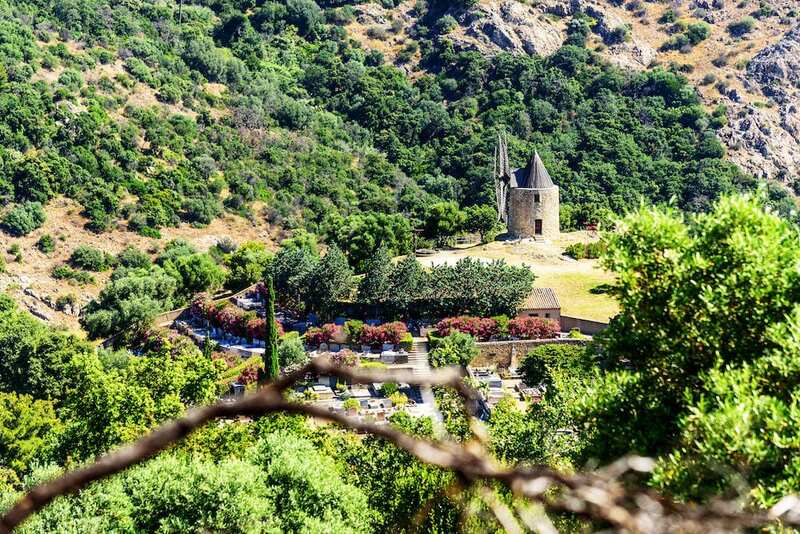 Private Tour/shared of Villages in the French Riviera – spend a day exploring the Maures mountains, and walking through the stunning villages of Grimaud, Gassin, Ramatuelle and Bormes les Mimosas. Or explore the Grimaud Port by sailing through it’s intricate canal systems. 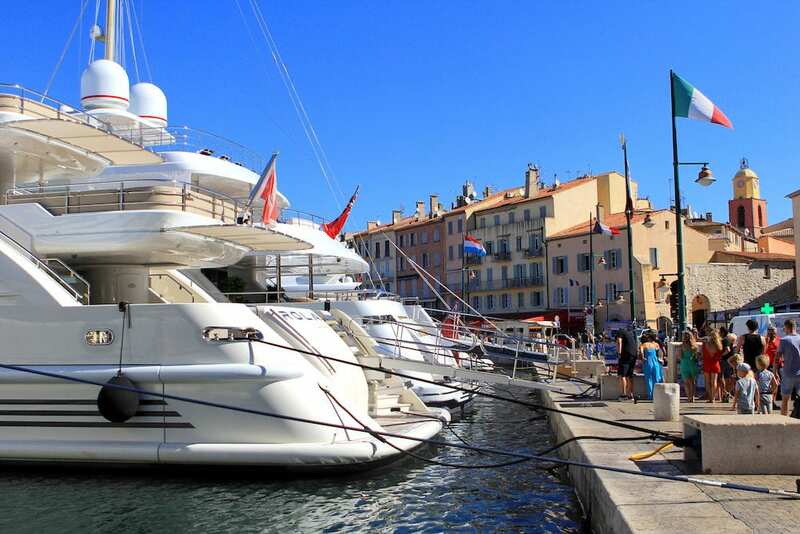 Saint Tropez Full Day Tour – a professional guide, a van at your disposal and an itinerary tailor-made to your liking. 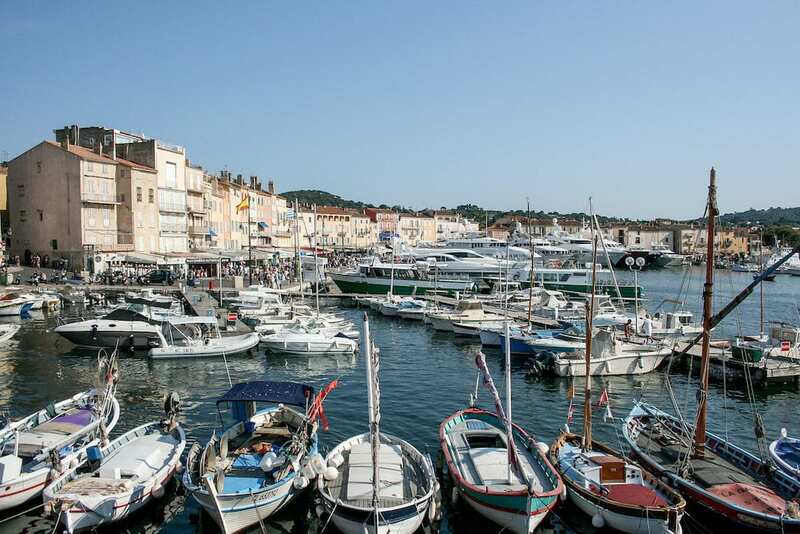 A full day private tour of the fishing village will ensure that you don’t miss out on any Saint Tropez attractions. Private/shared shore excursion to Saint-Tropez, Gassin and Port Grimaud – day trips from Saint Tropez that include cruising it’s pristine shoreline and sailing through the canal-side boutiques in Port Grimaud along with a guide who’s familiar with every stone in Saint Tropez is definitely going to be a day well spent.